The Doctors’ Health Advisory Service (DHAS) operates independently and confidentially, and aims to ensure that no doctor or medical student in NSW lacks access to health care. When you are contacting other health workers in a professional capacity, foxygirl@hotmail.com is not going to cut it any more. As a doctor, junior or otherwise, you are a professional and need to present yourself as such. Even if you do not have a permanent practice, you should still have professional contact details. In another article, I highly recommended the use of a post office box. You should strongly consider purchasing a facsimile machine (or service) as well. 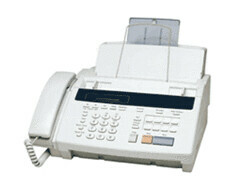 Being able to both receive and send faxes is considered part of the clinical and professional norm. All doctors in private practice would have a fax machine. All public organisations have as well. Faxes are great in that they have the relative security of postal mail (i.e., you can send clinical information) but also the speed of e-mail. Furthermore, a fax is much less likely to linger in someone’s (unchecked) inbox like e-mail.